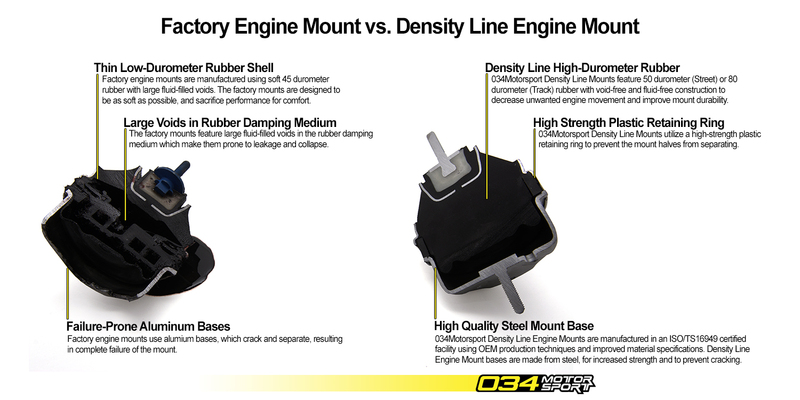 We're proud to announce the availability of the Density Line Engine Mounts for B5, B6, B7, and C5 Chassis Audi and B5 Chassis Volkswagen models! Sold Individually (One Vehicle Requires 2 Mounts). Therefore Minimum of 2 mounts are to be purchased per order.